Did you know that chiropractic care can treat your spinal stenosis without drugs or invasive procedures, like surgery? At Ringer Chiropractic, our experienced Tracy, CA chiropractor can answer all your questions. Please review the frequently asked questions we receive about spinal stenosis from our clients. Spinal stenosis is characterized by a gradual narrowing of the spinal canal, which houses the spinal cord. This condition mostly occurs in individuals who are over the age of 50. However, anyone may develop symptoms of spinal stenosis. 2. What are the most common causes of spinal stenosis? The most common cause is age-related disc degeneration, where the bulging disc material creates narrow spots in the spinal canal. However, it can also occur due to a herniated disc, back injuries, bone spurs, and arthritis. Some individuals are even born with spinal stenosis. 3. What are the symptoms of spinal stenosis? Spinal stenosis typically causes back pain, but it can also cause back and leg pain, which is referred to as sciatica. You may also suffer from foot drop and have difficulty walking. 4. Can spinal stenosis occur in the neck? Spinal stenosis can occur anywhere along the spine, even in the neck. When spinal stenosis occurs in the neck, it is usually related to a herniated or bulging disc or a neck injury. Our chiropractor can evaluate your neck pain and loss of range of motion and recommend the most appropriate treatment. 5. How does a chiropractor diagnose spinal stenosis? Spinal stenosis is diagnosed by taking a thorough medical history and performing a physical examination. We may also need to take digital images of your spine in order to determine the locations where your spinal canal has narrowed and the severity. 6. 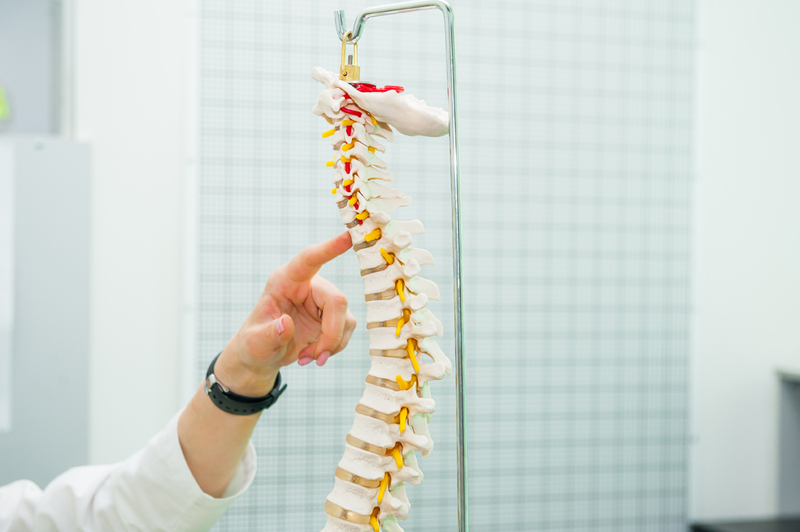 How is spinal stenosis treated? Your spinal stenosis treatment will depend on what has caused the narrowing of your spinal canal. In general, we offer chiropractic adjustments, massage therapy and physical therapy for spinal stenosis. During your treatment, our chiropractor will also adjust your program as you heal in order to maximize the benefits and decrease your recovery time. 7. How do you structure your treatment programs? We structure our treatment programs for spinal stenosis into three phases. The first phase is designed to provide you with symptoms relief. The second phase is designed to increase your rate of healing, and the third phase is designed to help keep you injury-free. If you have any further questions about chiropractic treatment for spinal stenosis, contact Ringer Chiropractic today. You can schedule an appointment with our chiropractor in Tracy for your back pain by calling us at (209) 835-2225.